if you need student abacus (6, 7, 13, 15, 17, 21 and 23 rods), display abacus (5, 7, 13, 17 and 21 rods), creativity game kit, happy reading kit, rubik’s cube tool and kalfun tools. We also providing the comfortable abacus bags. 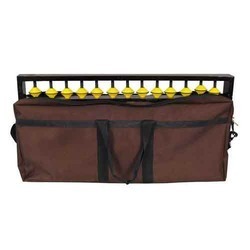 This will help you to keep the abacus safe and take it to any where easily and comfortably. Abacus bag of best quality. We offer to our customer a wide range of abacus bag. Being a well-distinguished company in the market, we are into offering Student Abacus Bag.